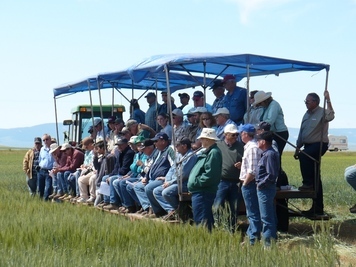 The CARC field day will be held during the summer on July (TBA), 2019 with registration beginning at 9:00a.m. and starts heading out at 9:30a.m. and lunch will be provided. What a great event! Presentations will feature Pulse Crops, Forages and Crop Pests. 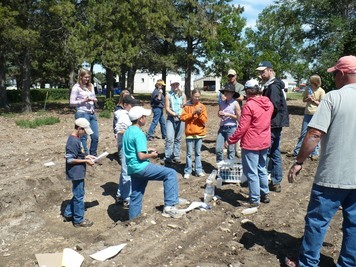 Concurrent with the traditional field day format, a youth (years 10 to 17) Ag research program will be presented. More and more of us are thinking an overt effort needs to be made to recruit our youth into Ag production careers or at least have an appreciation of production agriculture if the United States hopes to retain its food independence and have functional and healthy Ag policy. We need to instill in our youth an appreciation and understanding of production agriculture that will provide them with a good solid base for their future positions as innovators, developers, and implementers of public policy. Topics included careers in the agriculture industry, plant identification and anatomy, soil type and texture, crop growth stages, and more. Youths received one-on-one time with researchers who explained current research projects at CARC. They will also offer a plant identification contest and prizes will be awarded.